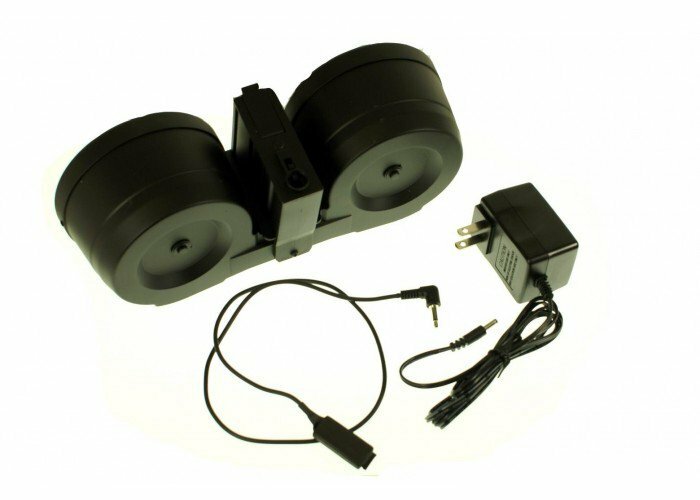 The Echo 1 ER25 Electric C Mag is drum magazine for the Echo 1 ER25 airsoft gun. The 2500 round capacity is plenty of ammo to hold down your position for your team. Have this on you for your next mission to have full control of your territory. It may fit with other airsoft guns but this cannot be guaranteed by Airsoft GI. Use only high quality BBs with product.